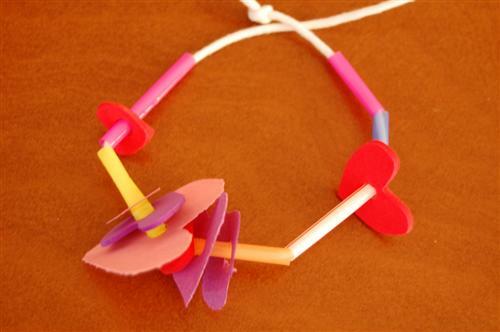 The Valentine's Day Love Bracelet is a good craft for children to develop fine motor skills and learn about gift giving. Children from 18 months and up should be able to do this (younger children may need help holding the string as they put things on it). 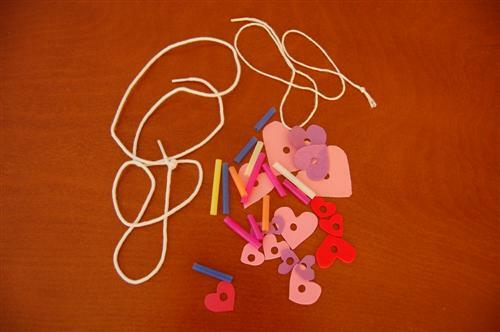 Remember to watch younger children when they are working with small objects as they can be a choking hazard. Tie a knot in one end of the yarn so beads, etc won't fall off. String various materials onto yarn. If yarn is fraying at the end, wrap a small piece of tape around end to make stringing easier. 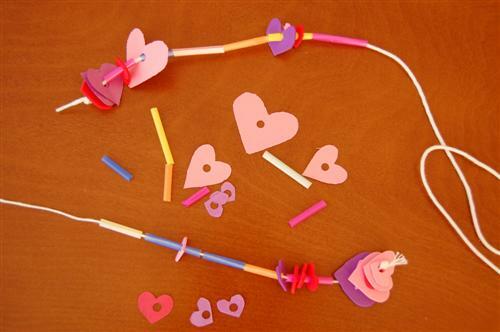 Older children can write a love message on one of the heart cutouts. Tie yarn to fit child's wrist. Exchange your bracelet with someone you love!